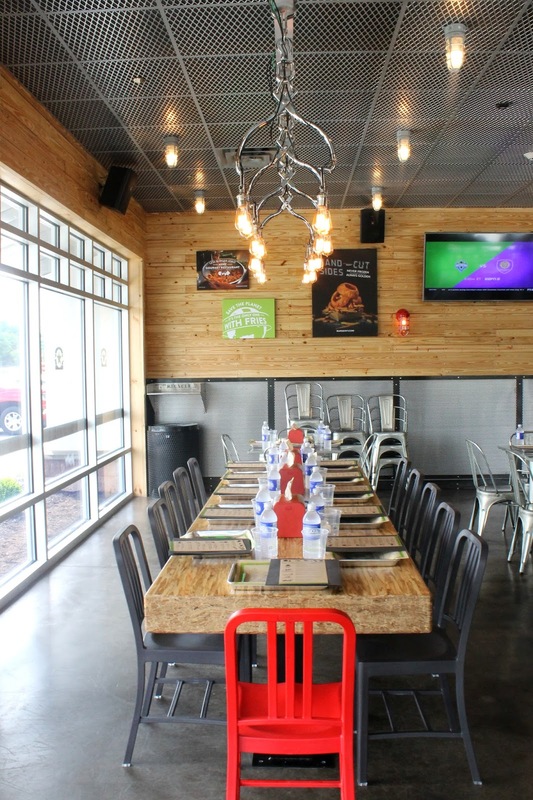 Calling all Capital Region Burger Lovers! I've discovered the best new burger joint in the area. 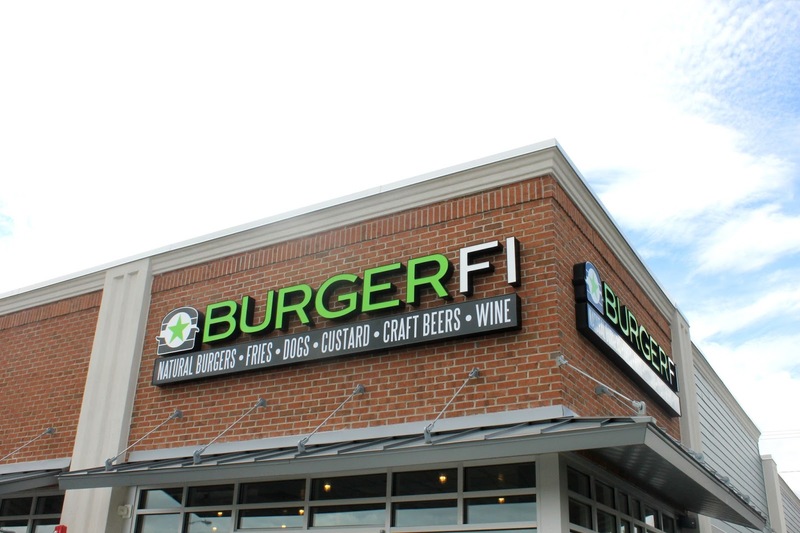 Enter: BurgerFi. 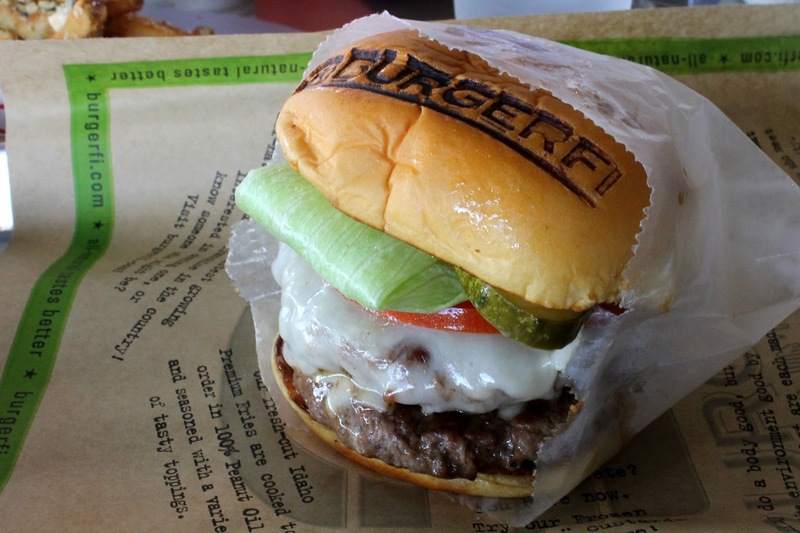 BurgerFi is a franchise that originated in Delray Beach, Florida in 2011. Angelo Mazzone and owners of the Lia Auto Group partnered up to open the newest location at 860 New Loudon Road in Latham. Now, I'm not calling it 'the best burger joint in the area' simply because they invited me in for an extensive menu tasting, I'm saying it because I wholeheartdly support and agree with what they stand for as a brand. 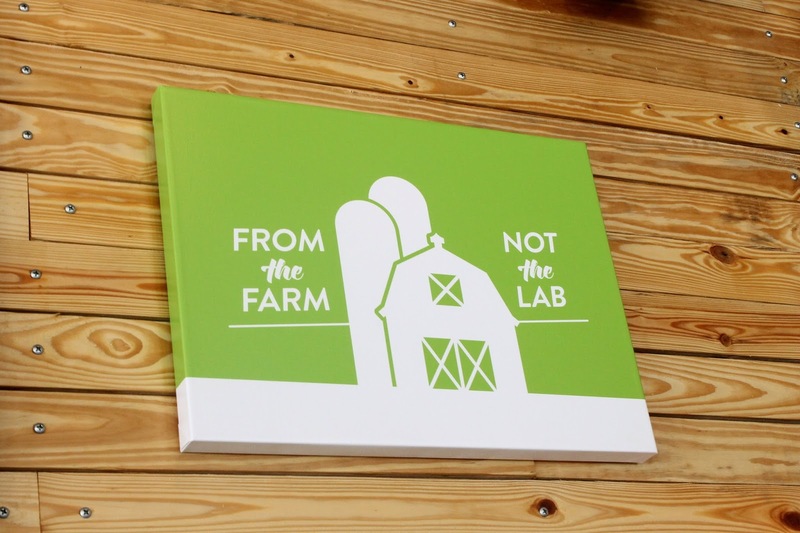 They display signs throughout the entire burger joint that express their support and mission of sustainability and sourcing ingredients that are fresh, of the best quality, and are healthy not only to us, but to the earth as well. 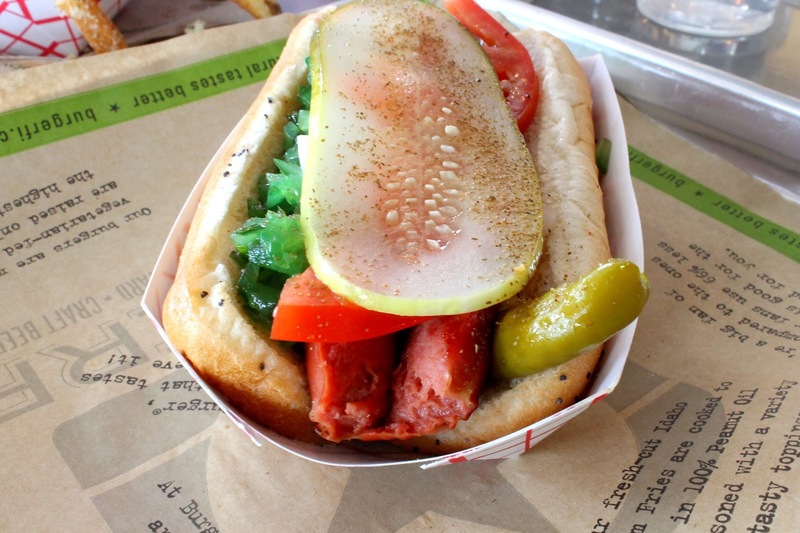 Also, the beef BurgerFi uses is hormone free, steroid free, and antibiotic free. So you don't have to worry about consuming any of those pesky chemicals you'll find in most fast food chains and some other burger joints, because it's sourced from ranches where cattle are able to roam free, eat as much grass as their little heart's desire, and are treated humanely. 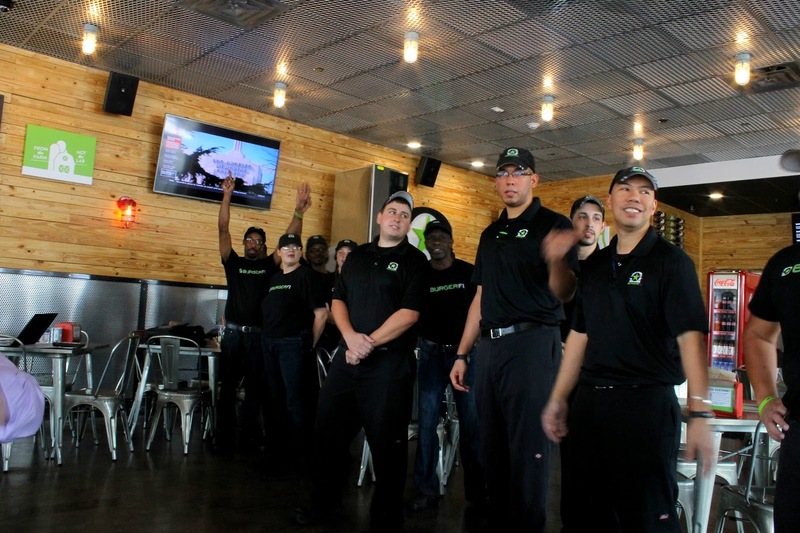 All recipes are created from fresh, natural ingredients that the BurgerFi team prepares on a daily basis. 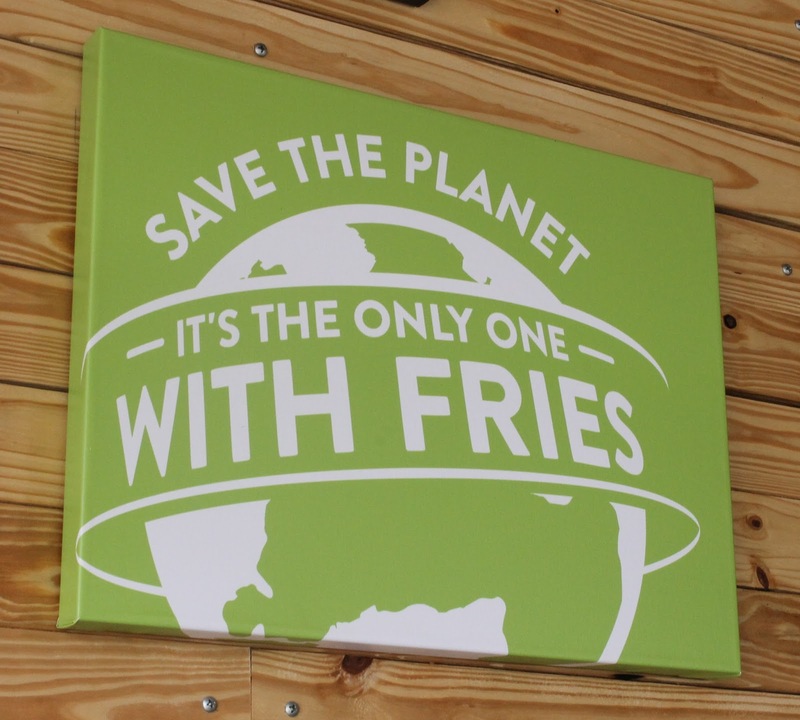 Which means the fries, onion rings, and beef patties are never frozen, and you can totally tell! Now, on to the important stuff: the food. 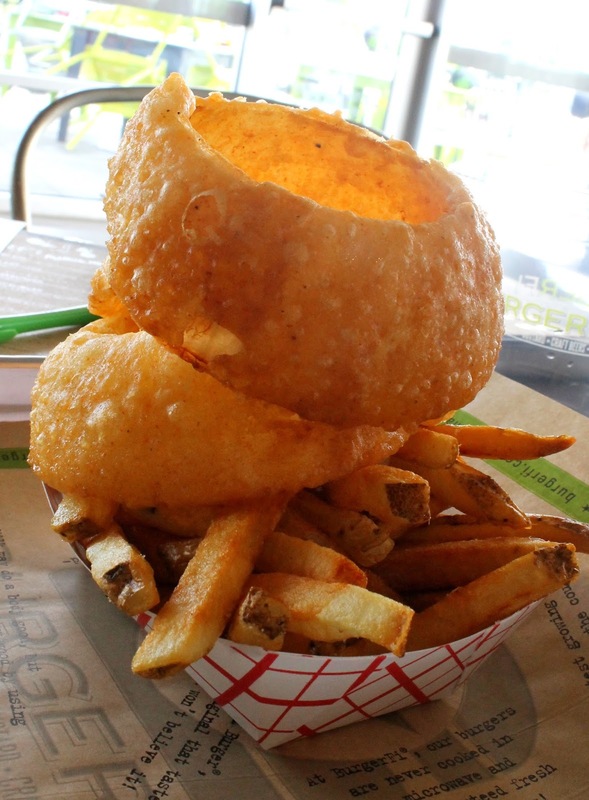 The onion rings are crisp with a super thin layer of batter, break apart easily, and practically melt in your mouth; avoiding the aforementioned onion ring situation completely. 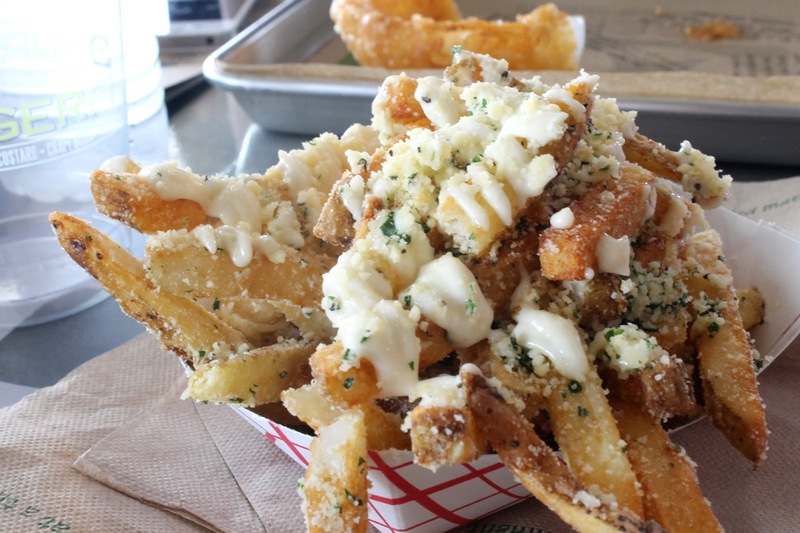 The parm + herb fry, oh my! Do yourself a favor and grab an order of these. You won't regret it, I promise. 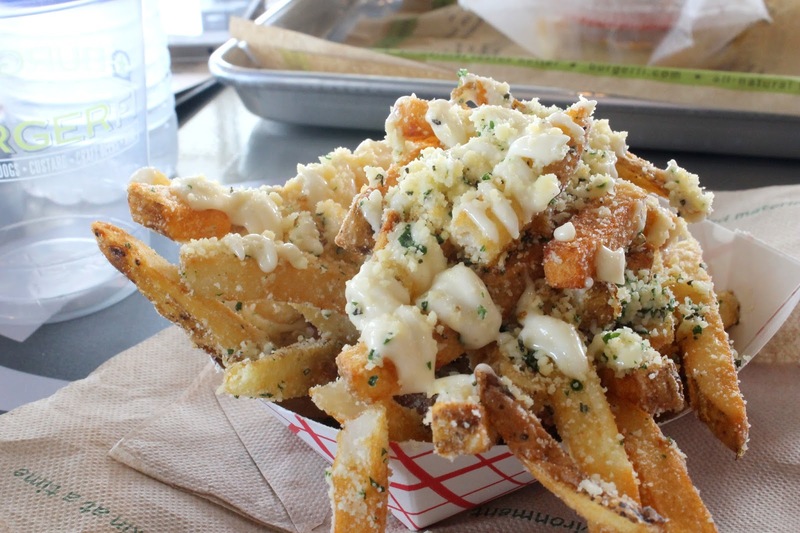 They are delicious and topped with a generous amount of parmesan cheese, herbs, and garlic aioli. 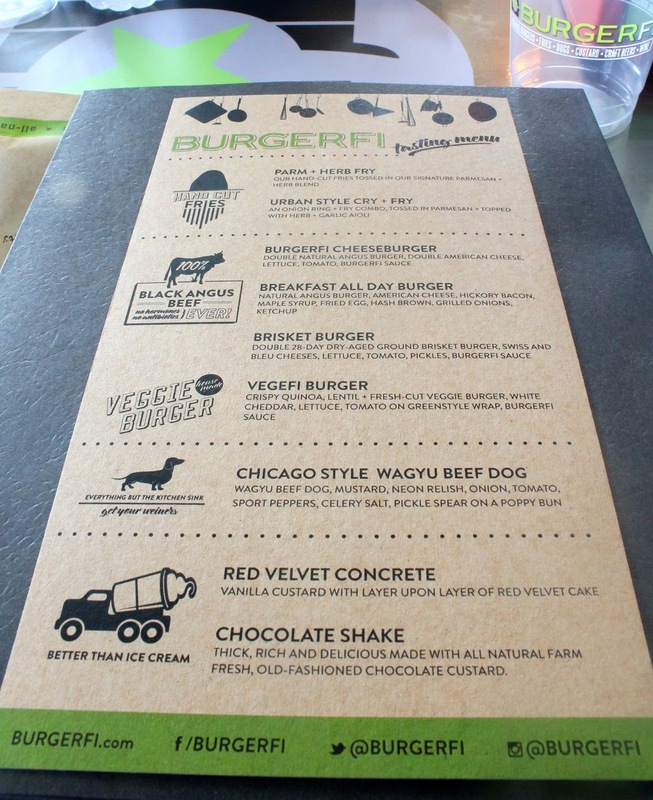 There were four different burgers on the tasting menu, and we tried them all. 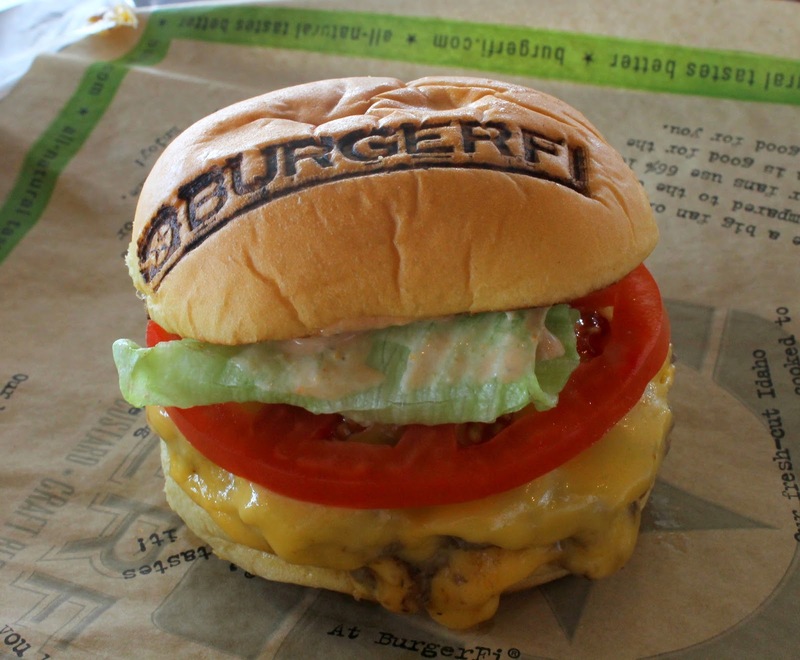 First up, The BurgerFi Cheeseburger - double natural angus burger, double American cheese, lettuce, tomato, and BurgerFi sauce. For a pretty straightforward & traditional burger I really enjoyed it and if I'm being completely honest, I have a weakness for loads of American cheese on my burger, so this flavor combination is one I crave on a weekly basis. The patties are thin, which I prefer, and were so juicy. I was hungry and pretty excited to try the first burger. 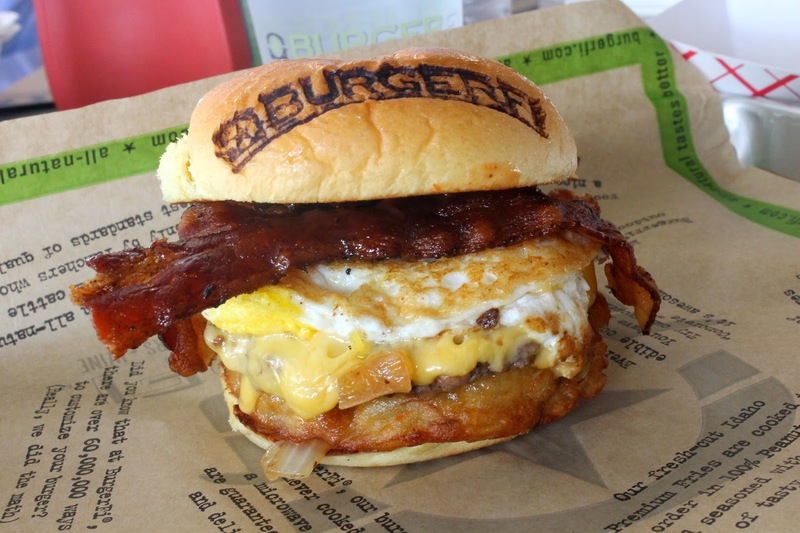 Next, Breakfast All Day Burger- natural angus burger, American cheese, hickory bacon, maple syrup, fried egg, hash brown, grilled onions, ketchup. 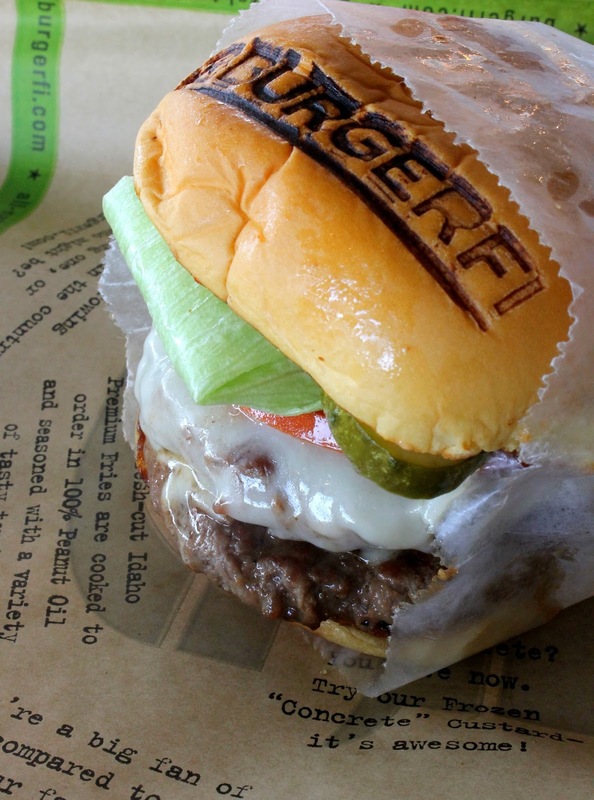 Our third burger of the day was The Twenty-Eight- double natural 28-day dry-aged ground brisket burger, swiss & blue cheese, lettuce, tomatoes, pickles, and BurgerFi sauce. LOVED. This. And as much as I enjoy blue cheese, I, for some reason, rarely have it on a burger. But this burger reminded me how awesome blue cheese tastes on a burger, so I will definitely be back to order this again soon. 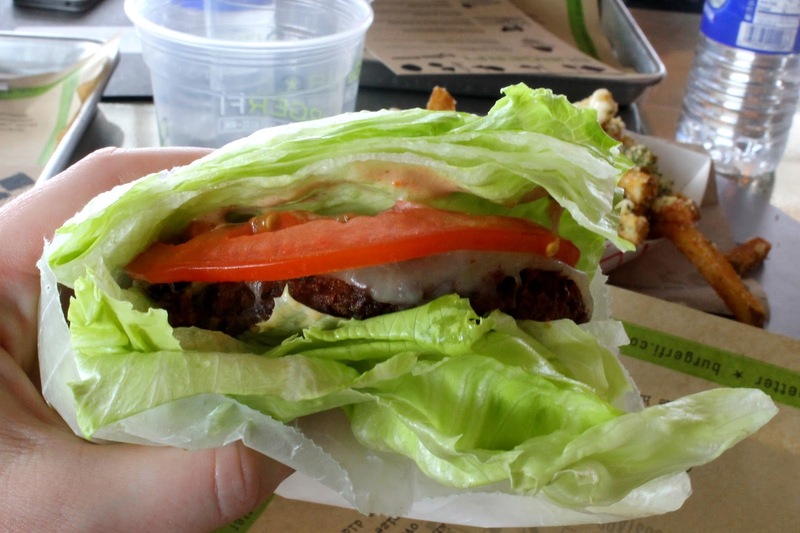 The final burger of the day was the VegFi Burger- crispy quinoa & fresh-cut veggie burger, white cheddar, lettuce, tomato on green style wrap, with BurgerFi sauce. A bunch of the men surrounding me at the table opted out of trying this burger and asked for a to-go box for it instead. I hope it was just because they were too full from the other three burgers, french fries, and onion rings we tried earlier that afternoon, because boy, did they miss out! I really enjoyed how light and crispy it was, not to mention refreshing. 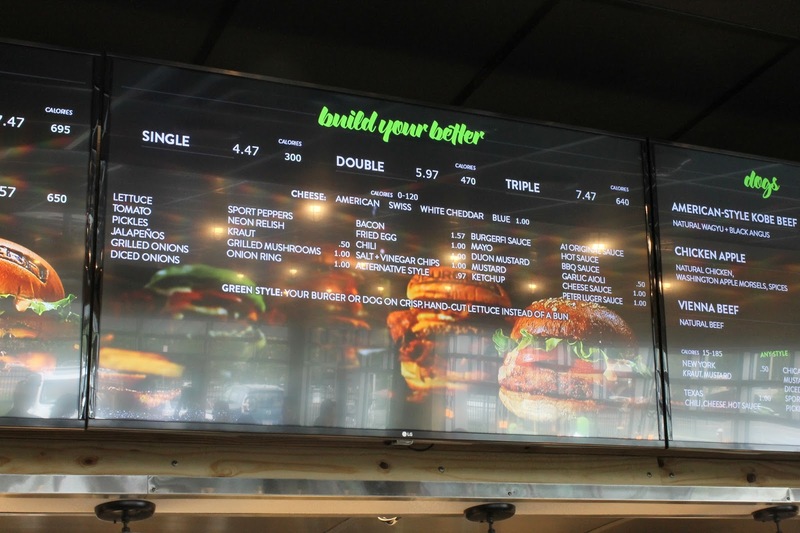 If none of these burger options tickle your fancy you're more than welcome to create your own at the 'build your better' burger station, where they have a large selection of toppings, cheeses, and sauces for you to create your own burger masterpiece. Now, the Chicago Style Kobe Beef Dog was something I've yet to ever see. 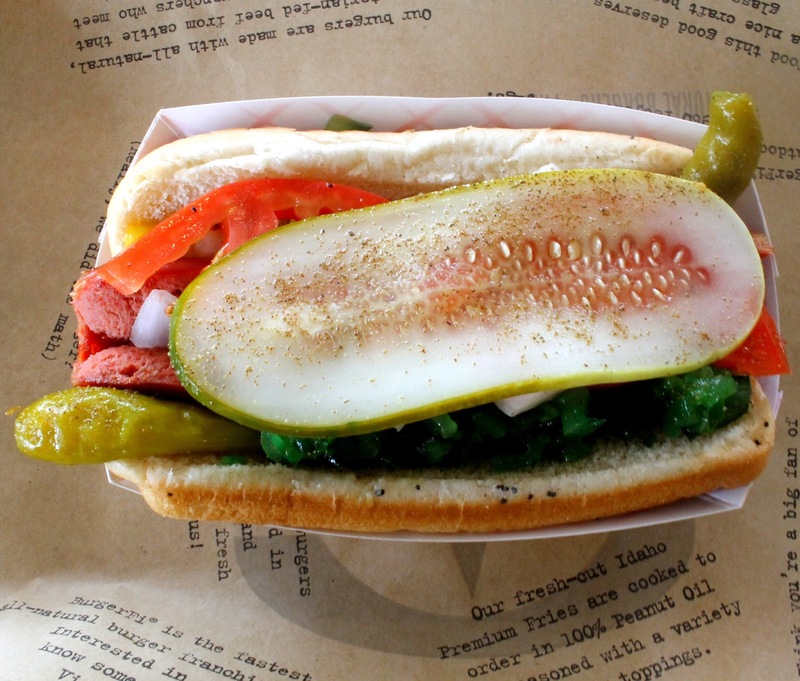 They served a Kobe beef hot dog with mustard, neon relish, diced onion, tomato, sport peppers, pickle, celery salt, on a poppy seed bun. 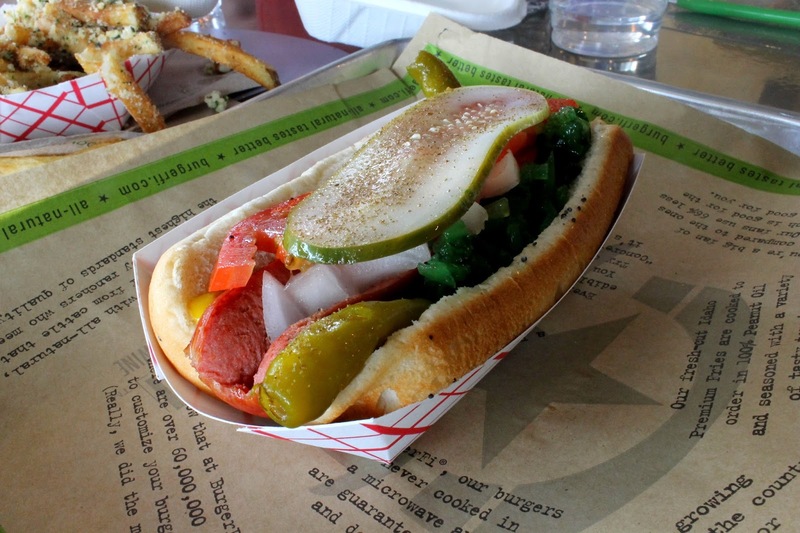 I only took a bite as I was super full and trying to save room for the custard that was up next, but the hot dog was great quality and the presentation was something else. I'm not sure what else they could fit on it! 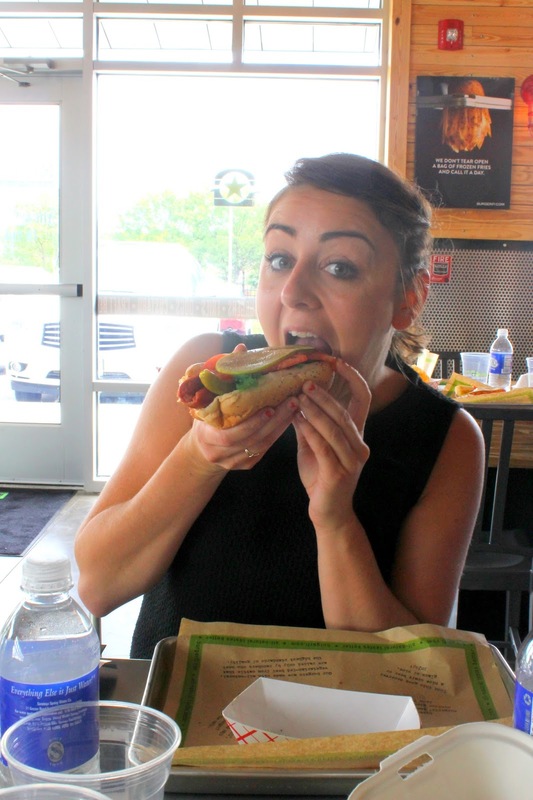 Ashley, my lunch date for the menu tasting enjoyed the dog! 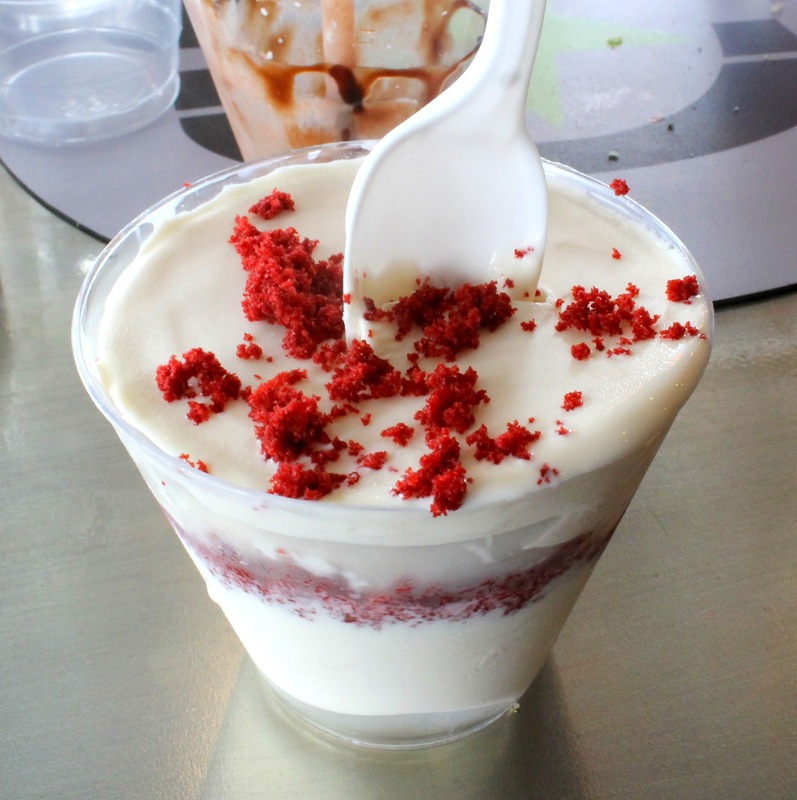 For dessert we were given samples of the Red Velvet Concrete Custard and (not photoed) Chocolate Shake. The actual portions are pretty large, so if you intend on trying these (which you should) make sure you don't eat too many of those fries! The folks behind the scene, creating all the food! 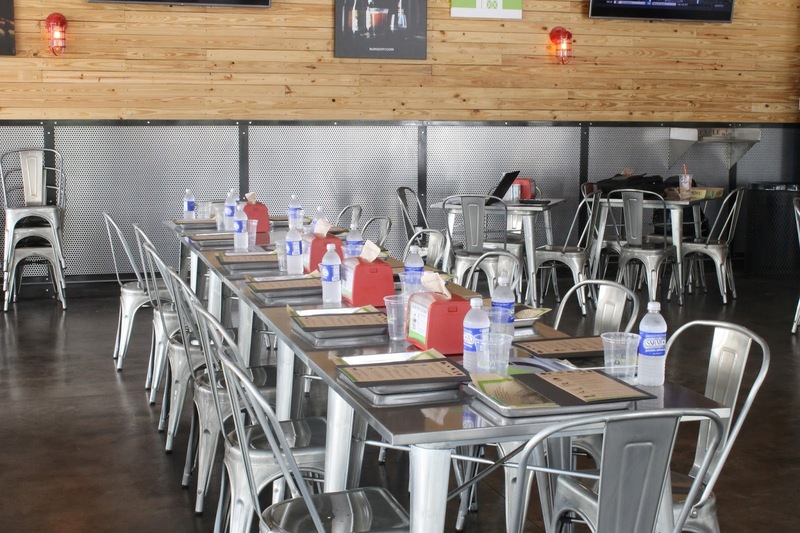 I thoroughly enjoyed my experience at BurgerFi. They open to the public today at 11:00am, so if you're free around lunch time head on over and let me know what you think! I agree, that VegeFi burger in the lettuce wrap was delicious. The big question is will they be able to get lettuce like that in January. 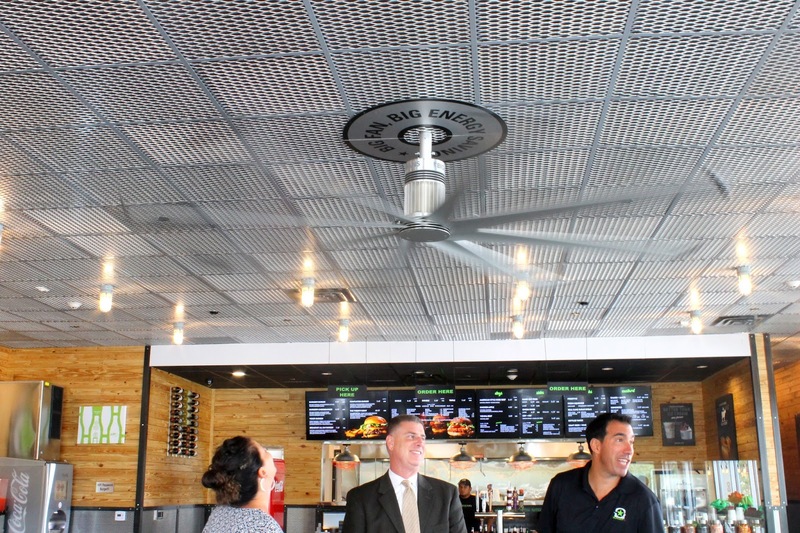 My hope is that as the chain grows and as competition in this category heats up, BurgerFi will also take their commitment to higher quality beef and internalize it as a core value of the enterprise. That's not to say it should go all organic, but dairy from pasture raised cows would be a great next step.